This is a revision of a post originally published in 2014. One secret to success with a low-FODMAP diet is understanding which sweeteners can be used. Sweeteners that are suitable for the elimination phase of a low-FODMAP diet must contain at least as much glucose as fructose. Why? 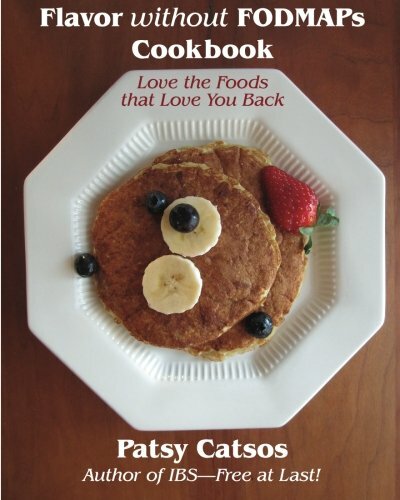 Because fructose is absorbed more easily in your small intestine when it is paired one-to-one with glucose. Trying to absorb excess fructose is like trying to pedal a bicycle with just one foot. Not efficient! Even under the best of circumstances, there is a limit to how fast a person can absorb fructose, and that limit varies from one person to the next. So, even if sweetened with a suitable sweetener, portions should be small. 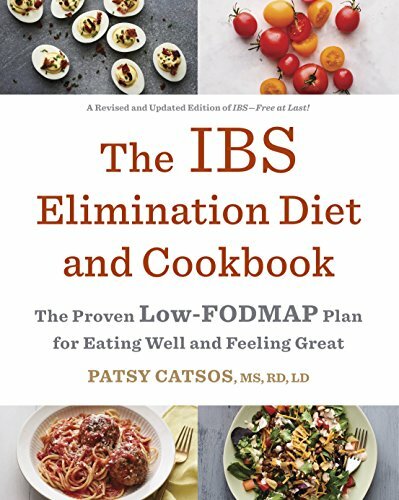 In The IBS Elimination Diet and Cookbook I recommend limiting yourself to about 1 tablespoon of low-FODMAP sweetener per meal or snack. Which sweeteners are low in FODMAPs? Other low-FODMAP sweeteners that qualify for the elimination phase of the diet because they do not contain excess fructose include glucose, dextrose and palm sugar. Stevia is a low-FODMAP sweetener that is not a sugar; I recommend liquid stevia extract rather than powdered products that use another substance to fill up the little packet or measuring cup. Syrups and maltodextrins are especially tricky. It cannot be assumed that these ingredients are low in FODMAPs, even if the food they are made from is low-FODMAP. Excess fructose is not the only potential problem; syrups can potentially develop some oligosaccharides during the manufacturing process. Also, the names for some syrups as shown on the list of ingredients are not specific enough. For example, the amount of fructose in "high-fructose corn syrup" can range from 45% to 90%. "Maltodextrin" and "invert sugar syrup" can refer to a variety of things; they are not names of specific ingredients. I'm at the point where I think that syrups and foods containing syrups need to be specifically tested to see if they are low in FODMAPs. In the absence of laboratory certification, I recommend my patients and readers avoid syrups. A few exceptions: 100% pure maple syrup is low in FODMAPs. Corn syrup is low FODMAP; unlike high-fructose corn syrup, regular corn syrup is mostly glucose. And some of the syrups listed above that are simply sucrose plus water are low-FODMAP. Sweeteners that are not recommended for a low-FODMAP diet, because they contain too much fructose, include honey, crystalline fructose and agave. Golden syrup is apparently high in FODMAPs (seen in the Monash University Low FODMAP App). I do not agree with others who have written that clover honey is suitable for a low-FODMAP diet. Though the ratio of fructose to glucose does vary from one varietal of honey to another and from one season to another, there is no scenario in which honey is low enough in fructose to be suitable for a low-FODMAP diet. Published studies show that clover honey may be lower in excess fructose than other types of honey, but it still does not make the cut for a list of low-FODMAP sweeteners. Sugar alcohols, including mannitol and sorbitol (and other "-ol" sweeteners), are not recommended for the elimination phase of low FODMAP diets. I used to think that erythritol was OK for low-FODMAP diets because it is well absorbed compared to other sugar alcohols. But recent studies have shown it interferes with fructose absorption, so I no longer recommend it for the elimination phase of the diet. Lactose is occasionally used as a sweetener in yogurt and chocolate. It is a FODMAP, so should not be consumed on the elimination phase. Molasses has not been analyzed for FODMAPs at Monash University but older data in the USDA Nutrient Database for Standard Reference suggest it has excess fructose. Monk fruit is of unknown FODMAP status. I recommend avoiding them until more information is available. Other non-nutritive sweeteners, such as saccharine, aspartame, and sucralose are not FODMAPs. If you must, you can use them on a low-FODMAP diet. I recognize that these ingredients can be important to some consumers for various reasons, including the need to limit added sugars.Why would I "allow" artificial sweeteners on a diet for people with IBS? 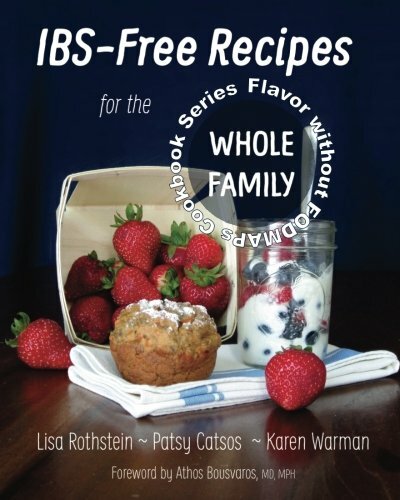 The IBS Elimination Diet and Cookbook is not about creating a comprehensive list of every single thing in the universe you should avoid because it might trigger your IBS symptoms. It has a particular focus: finding out whether or not FODMAPs in your diet are contributing to your IBS symptoms. If these ingredients do bother you, it is not because they contain FODMAPs.